Illaoi is the newest champion to be released in League of Legends. 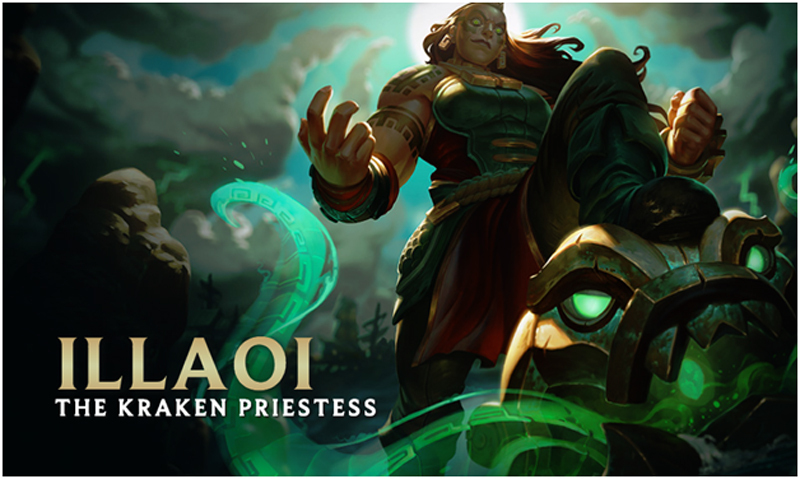 In the League of Legends lore, Illaoi is a stalwart island priestess of an old religion who roams the land testing souls she deems worthy. Instead of traditional weapons, she summons her god, Nagakabouros the Kracken, through a mystical idol to attack the souls of her enemies. Her inception into the roster of the other 128 champions offers a more passive laning phase with the potential to snowball your advantage in the late game. Illaoi’s theme and kit make her one of the more unique champions to choose from; however, it does take a little bit of work to master her combos and play style. Her skills offer superb team fighting and surprisingly high AoE (Area of Effect) damage in tight areas, but she can be kited quite easily from ranged characters due to her lack of mobility. With the correct setup from her team, Illaoi can be exceptionally potent in objective areas like the Dragon and Baron pits. Eventually, she might debut in pro level play; however, it will require teams to play around her strengths to ensure she is nurtured through the initial laning phase. Overall, Illaoi offers crushing damage and durability, but her glaring weaknesses might lose you the game if you’re not prepared. Illaoi’s passive, Prophet of the Elder God, summons tentacles from her god onto the map. They usually spawn next to impassable terrain every 20 seconds (12 seconds at level 18) and will engage enemies once Illaoi uses her W and E spells on a target. The tentacles can be killed by your opponents and teleported to by your allies. Her Q ability is called Tentacle Smash, which is a ranged skillshot that damages a target for a certain percentage of her AD and passively restores 5% of her missing health if it hits a champion. This skill is the first one to be maxed out when leveling and should be used often to farm creeps and trade damage with enemies. Harsh Lesson is Illaoi’s W and her gap closer which takes the form of a leap onto her next auto attack. This skill is perfect for catching a low health enemy, but it has a very small dash distance. Not only can you lead into a fight with it, but it will proc your tentacles in the area to attack the marked enemy as the runaway. Another key point to remember is that this skill is her autoattack reset. When she is farming or brawling with an opponent using her abysmal attack speed, utilize this skill to squeeze another hit in. Illaoi’s E, Test of Spirit, is her most interesting skill and aligns thematically with her lore. It is another long skillshot that rips the spirit out of the victim, and based on how much damage the spirit takes, it hurt its owner by a certain percent. If Illaoi kills the spirit before the timer ticks down they are slowed and become vessels, a debuff which allows the surrounding tentacles to attack them. If the owner of the spirit walks out of the designated circle and breaks the tether, then they are just slowed for two seconds and still debuffed. If the other champions can attack Illaoi, they will reduce the timer on their spirit and avoid becoming a punching bag for her surrounding friends. This skill can really swing a team fight in Illaoi’s favor by initiating on a target, killing the spirit clone, and following up with your Harsh Lesson. This increases how long the tentacles will stick around to attack marked enemies while unleashing massive damage. Test of Spirit is great against ranged champions as well because Illaoi can burst their low health down in a few hits and earn bonus damage from her slithering friends. Leap of Faith is Illaoi’s R and ultimate skill. Illaoi leaps into the air and slams the ground damaging nearby enemies. Additionally, she spawns a tentacle for each champion hit and they become unkillable for 8 seconds. As the tentacles slam down on Illaoi’s victims, they have an increased attack speed. Through all the chaos, her W skill has a two second cool down which she can use to leap at each opponent. This ability can pump out massive amounts of damage in a matter of seconds. This skill is what can make Illaoi so dangerous in close quarters because there is nowhere to hide from all of her summoned tentacles slamming down on the enemy team; however, if she is killed during the fight, the onslaught will stop and give you a chance to recover. Using this ability in tandem with crowd control like Alistar’s Pulverize or Sejuani’s Glacial Prison is an inescapable fate for her targets. As the game progresses, you will want to max your Q then E then your W. Of course, maxing your R skill at levels 6,11, and 16 are essential. Illaoi’s combo in a 1 vs 1 situation is E, W, Q, then W on the spirit to turn your enemy into a vessel. Be careful with using your Ultimate in an open space; it is best used closer to walls or in narrow corridors. Additionally, if the enemy is around half to ¼ health, initiate with Harsh Lesson (W), then ensnare them with your E skill and slam the champion down again with your Leap of Faith (R) .This combination will maximize the damage Illaoi can put out in 8 seconds. Remember, once she dies her ultimate stops as well, but the tentacles will still attack vessels nearby at normal speed. Mastering Illaoi’s kit preparation is essential to defeating enemies. There is no escape or retreating, she only moves forward so be cautious. For Illaoi’s Rune page you want to run lots of AD with a little bit of resistances. The first option offers a decent amount of damage while ensuring Illaoi is still durable in combat. This page is good against team compositions that run a lot of ranged damage or if Illaoi is paired against an unfavorable matchup in lane. Vampirism and Runic Armor are both great masteries for Tentacle Smash. This page also favors teamfighting with a point in the keystone mastery Grasp of the Undying. It empowers her life stealing in large team fights with Leap of Faith and boosts the potency of her Tentacle Smash. The second option would be a more agressive page. The addition of Wanderer and Merciless makes this a high risk/high reward play style. With the lack of tanky stats, this should be used in a favorable matchup or if your jungler actually wants to help you in top lane. If Illaoi’s all in aggression works out, Fervor of Battle will be deadly in team fights with her ultimate as each tentacle smacks an enemy. The stacking of physical damage of that keystone mastery on top of her built in bonus AD will probably kill squishy targets in a few hits with the Leap of Faith area of effect. The final option is a hybrid of each of the previous pages. This “bruiser “ style of play requires Illaoi to be slightly reserved, but still able to crush champions with her damage. This page lacks the sustain for early laning and should be used in a situation against other scaling/snowbally champions. The health masteries will supplement her natural beefiness, but the lack of mobility or tenacity makes you more vulnerable to ganks and crowd control when compared to the other two pages. As you begin the game, your starting items should be picking up Corrupting Potion or Doran’s Blade with the traditional Health Potion and Warding Trinket. The Corrupting Potion is a great option against lane counters and ranged enemies. The blade is a great pick for brawling with another melee hero or if you can fight early and often in lane. As the game progresses, purchasing boots and a longsword is very standard. Black Cleaver is a fantastic item on Illaoi and should be one of the first items to complete. 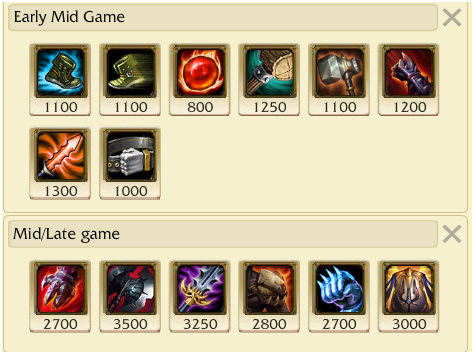 Also, acquiring tier two boots like Mercury’s Treads or Ninja Tabi’s should be bought according to your lane opponent. If they are AD based, go with the Tabi’s, but most of the time Mercury’s Treads are the go to boots to counter Illaoi’s lack of mobility. Once you get towards the mid game determine what your team needs. Is it a tank to soak up damage or is Illaoi strong enough to begin annihilating other champions? If your team needs a tank, go for Dead Man’s Plate. It will not only buff Illaoi, but the passive helps increase Illaoi’s damage as you roam the map with your team. IceBorn Gauntlet/Frozen Heart are also great options to lock down slippery targets while still giving Illaoi lots of armor against her enemies; however,if the stars are aligned in your favor and you can build more damage items, go for Sterak’s Gage and Maw of Malmortious (if enemies are AP based). Illaoi’s AD buff from each item is perfect for her kit while still beefing up her defensive stats. Once you get into the late game with Illaoi, getting tanky items will help you survive longer in fights while she pummels the opposition in prolonged team fights. Randuin’s Omen is a great pick if you have 3k gold to spend in those long winded matches. 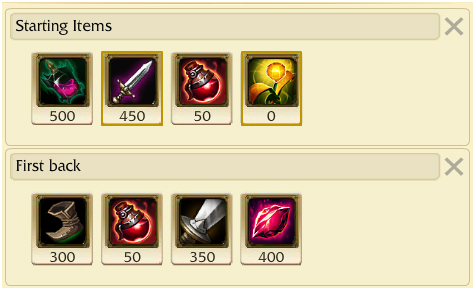 These items are a recommended build, but not essential for Illaoi. As you play her, tailor your build paths to how the game is progressing. Ilaoi has a great laning phase that requires calculated aggression with her damage and sustain. Her passive is crucial to winning most trades so plan accordingly by setting up your tentacles in the top lane bush or close to a tower. As you farm, try to kill creeps and damage your opponent with Illaoi’s Tentacle Smash. Not only do you get gold, but you gain some HP back. In the situation where a fight breaks out, start with your E skill followed up by an auto attack plus W into your Q . This skill combination will maximize your damage to the enemy champion while they are slammed by the Elder God’s tentacles. Ward is incredibly important for her. Illaoi’s low mobility makes her an easy kill if she is pushed far past her tower with a lack of vision. Once she is level 6, you can engage with your Test of Spirit close to a tentacle and activate Leap of Faith followed by your W on the enemy spirit. This setup should devastate your opponents HP and net you a kill depending on other conditions of the game (i.e. if the enemy is a higher level or not). Be careful not to commit to a fight without proper vision or knowledge of the enemy team’s location. Even though Illaoi may dish out the pain in a 1v1 scenario, she can be easily kited away and CCed. A smart player will force you to take bad fights and put Illaoi in a 2v1 situation or slowly chip away at her health with small engagements while dodging her tentacles in lane. Illaoi’s E is a great tool to start sieging with on towers, but it can bait your team into an unwanted battle so use it sparingly. Additionally, she is quite easy to catch out of position and being aware of your surrounding is crucial. In a large chaotic fight, aim for the soul of your targeted enemy with your E, the more damage you put on the spirit the better. Illaoi’s high damage is amazing when it hits, but in open areas she cannot hit as many targets as possible. As mentioned previously, with the right preparation in close quarters, Illaoi has no problem sinking the enemies hope in a teamfight with her massive amount of damage. Illaoi is a monstrous top laner, and with the right mindset, can easily snowball games to victory. With a little bit of in-game awareness, you can outplay those pesky Gangplanks and tanky Malphites. 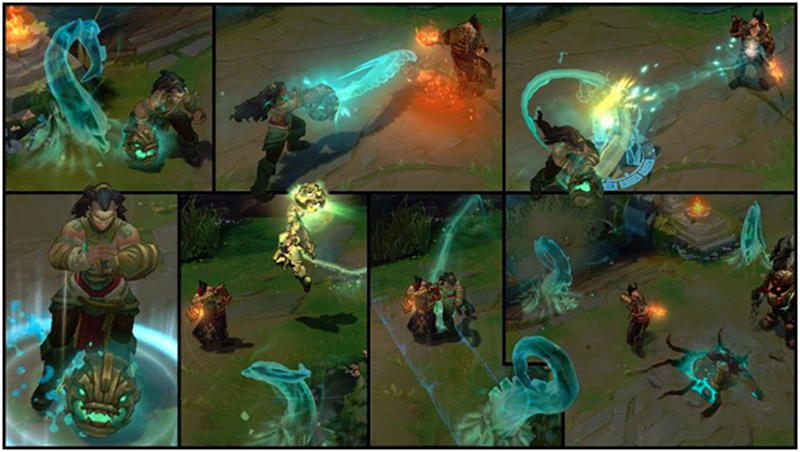 At her core, Illaoi relies on her passive and a large gold income to acquire the right items for her high damage. What she lacks in utility for her team is made up for in the high scaling throughout out the game. Overall, she is in line with the theme of the juggernauts as a hulking damage dealer in the top lane. In the future, Illaoi will probably be nerfed like all newly released champions; however, the fundamental strategies mentioned above will still be prevalent.